The practice of uncovering and restoring lost or unknown insurance policies to provide claims coverage. Beginning with the first asbestos claims in the 1970s to environmental contamination and clergy abuse, many mass tort and complex claims involve events that occurred years ago. Now emerging claims such as sports concussions, talc, opioids and sexual misconduct on campuses are rapidly increasing. These liabilities may be covered under old insurance policies which tend to be less restrictive and provide broader coverage than current policies. As companies have downsized, merged and relocated, the institutional memory has faded. Insurance carriers have consolidated or become insolvent. The burden of proof is on the policy holder to resurrect old polices hence, the need to skillfully search and retrieve this historical information is critical and can determine claims coverage and remuneration. A disciplined three-phased approach ensures objectives are established at the onset to ensure a beneficial and cost-effective deliverable. 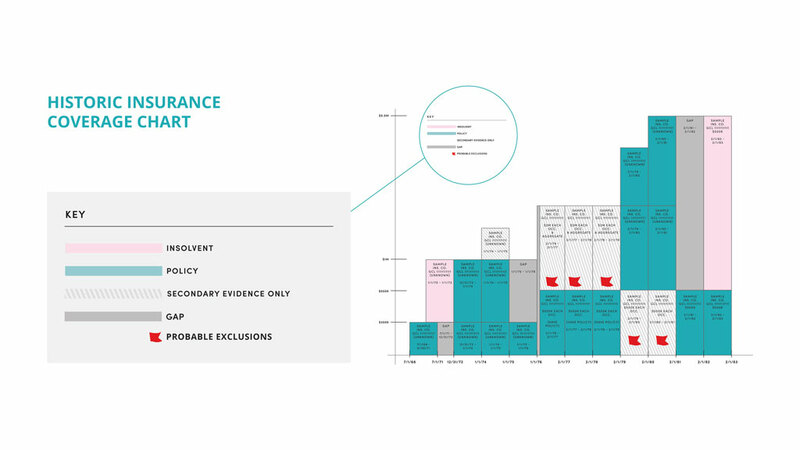 Clients receive a multi-layered policy chart with terms, limits, solvency status and past impairments. This coverage history represents a cumulative snapshot of a historical insurance profile which helps determine the best course of action to recover any monies due to the insured. The next step once historical policies have been recovered is to advocate for the insured and manage the claims. Relationships with insurers, third-party administrators and the legal community enable us to successfully oversee claims from inception to closure all while driving accountability and optimum results. Arcina Risk Group helps companies, public entities and insurers skillfully uncover aged policies, facilitate maximum recovery and preserve insurance assets in order to keep our clients’ core business, financial security and reputation intact.